As designs of machinery, processes, and systems get larger and more complex, it is increasingly important to have powerful yet flexible tools for layout and assembly construction. New in SOLIDWORKS 2017 are a new type of assembly mate, called Magnetic Mates that are designed to provide just that balance of power and flexibility in assembly development. Magnetic Mates enable the designer to quickly put together equipment and items into an assembly that is referenced to a ground plane and then rapidly disassemble, and reassemble the items together to try various ‘what-if’ scenarios – all in 3D. Simply drag & drop to assemble the equipment, then drag it apart to disassemble and rearrange the items. This provides great design speed and flexibility for the user and will be very effective for designers of machinery, processes, and plant systems. New enhancements to SOLIDWORKS’ Speedpak functionality enable Magnetic Mates to be used to assemble these super lightweight file size versions of your designs. New enhancements to Speedpak functionality include support for reference geometry, sketches, and curves that improves the flexibility of this powerful functionality. While Magnetic Mates are new functionality in SOLIDWORKS 2017, they can easily be added to older SOLIDWORKS models using the Asset Publisher functionality. This enables the user to add intelligent connection points and a ground reference on each item to enable the Magnetic Mate functionality. Early uses of Magnetic Mates and these Speedpak enhancements have focused on machine design and production line development where all the equipment is located on one level. 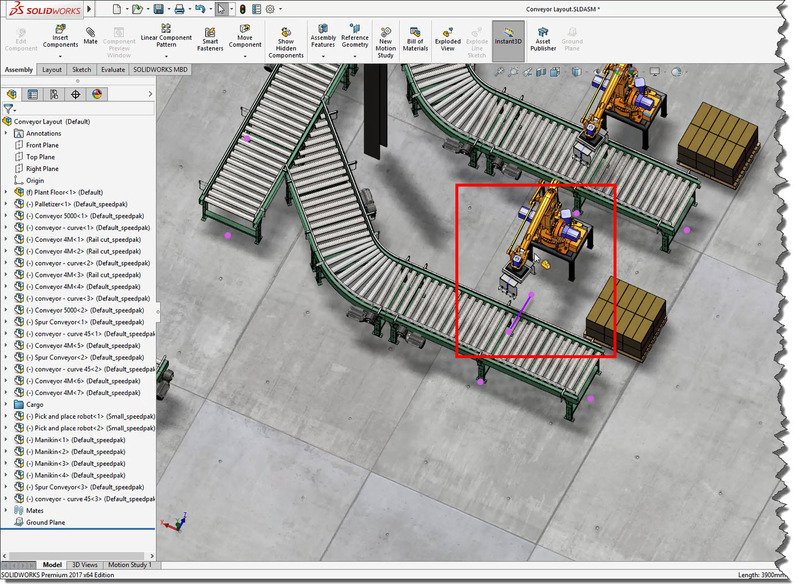 However, SOLIDWORKS users are finding new and additional applications for the Magnetic Mates functionality that not focused solely on arranging equipment on a ground plane. Other uses of Magnetic Mates include assembling in-line items such as down-hole oil tools that are assembled together then inserted down a drill casing of an oil well. 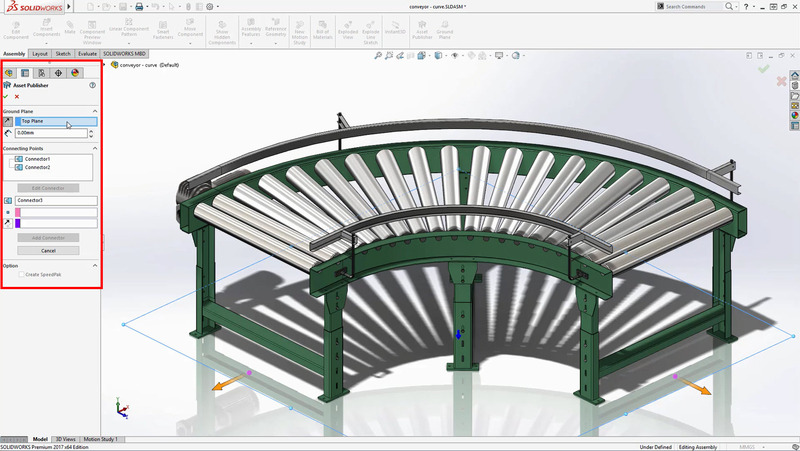 This exciting new functionality provides greater flexibility to the user in assembling assemblies than ever before which helps expand the use of SOLIDWORKS into more applications and improve overall productivity.Click here to learn more! Eric is a SOLIDWORKS Senior Product Manager.